Designed with the discerning gent in mind, Kriegar delivers another stunner with this Gentleman's Straight Razor Folding Knife. This handsome razor knife features a stainless steel blade with a 3" sharpened edge. The elegant handle has scalloped scrollwork designs to match the spine of the blade. Imitation mother of pearl completes the handle with style. 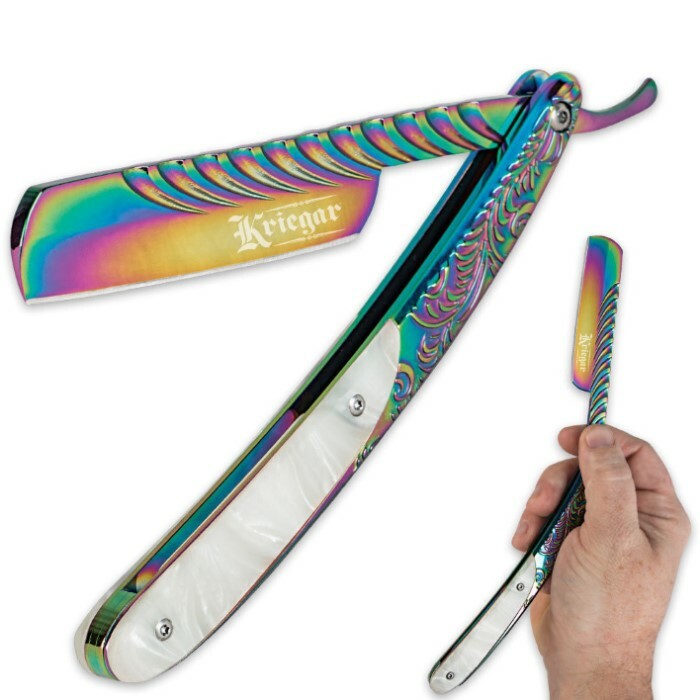 An anodized rainbow titanium finish covers the steel. NOTE: This is NOT a straight razor, it is NOT for shaving, it is a folding knife made to LOOK like a straight razor! 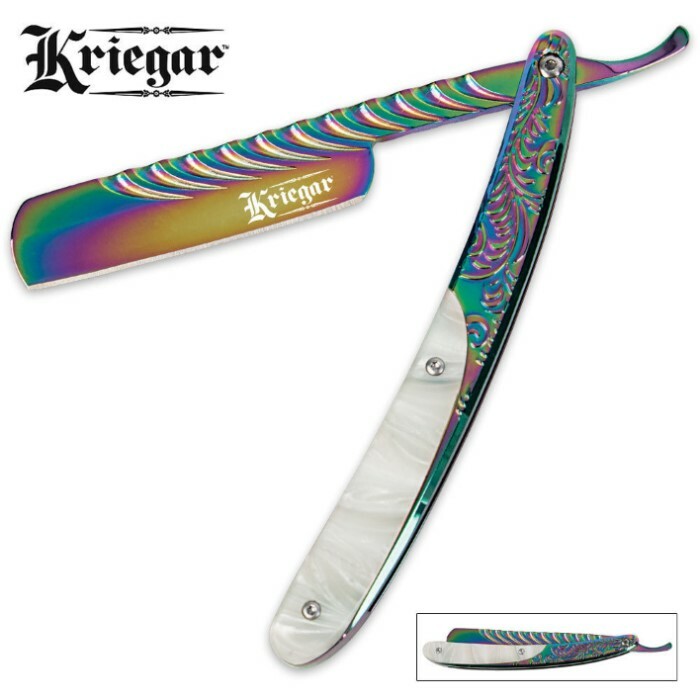 This stylish Kriegar straight razor folding knife offers a solid stainless steel 3" blade with a mirror finish and the Kriegar logo etched on the blade. This Dovo Straight Razor features a carbon steel blade with black synthetic handle.